After passing a job application and finally settling on the job, employers provide their employees what they deserve, a time to rest or to be off of work. This is what we commonly know as a leave. A time where we can be away from our responsibilities or our jobs. Leaves can be for various reasons. It undergoes process before it is approved. Leaves also go through application. Without that, leave would not be considered as a leave but as an absence. Knowing more about guidelines for an application of leave, will help us understand what leaves are all about. 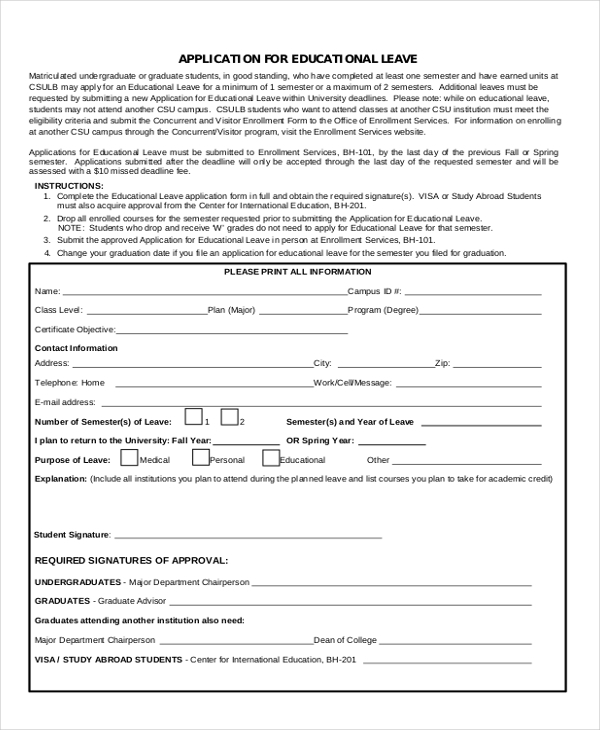 What Is a Leave Application? In any organization, a person with important matters to attend to or who needs a long rest from from work would need to file for a leave. Looking at sample applications, we can say leave is a time off from work. 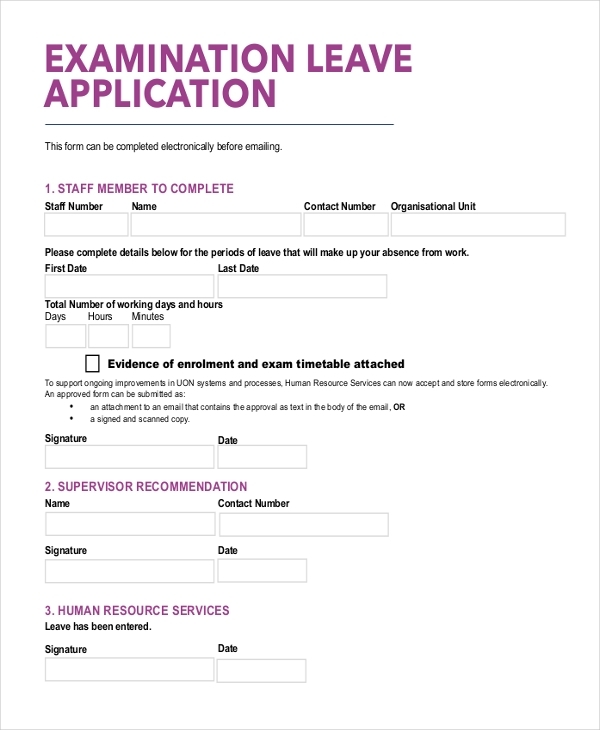 Leave application is a document showing a person’s request to leave work for a few days. 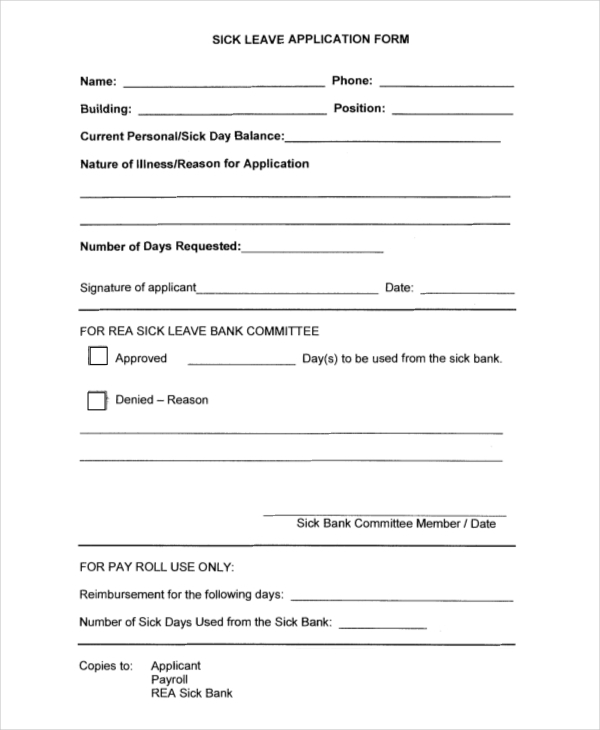 In this type of application, the maker would indicate the specific reason behind leaving the job for awhile, how long the leave would take, when the leave would start and when the maker is expected to come back. An application for a leave could be for various reasons. It may be for a personal matter or for a casual purpose. When writing a leave application, one must always indicate what the leave is for. There are leaves that involves personal matters, as said earlier. 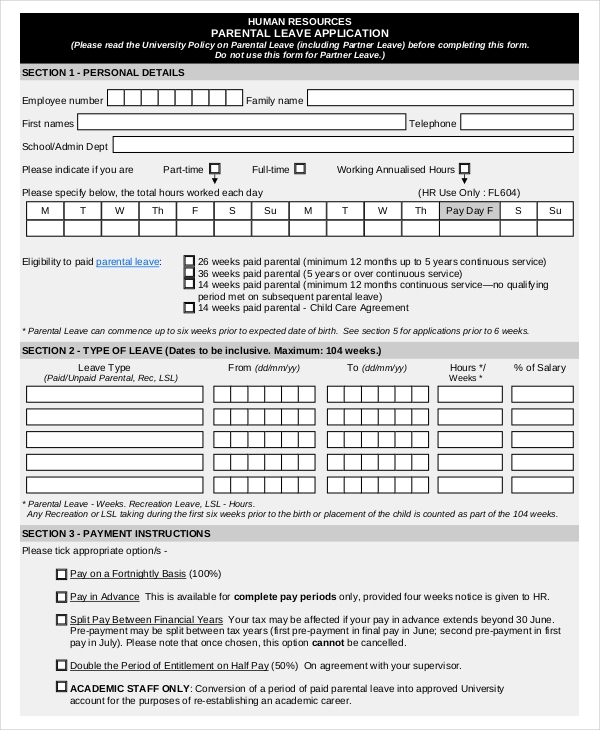 The subject of a leave application could be for maternal or paternal leaves. A person may also file a leave when one faces treatment for major illnesses or for other medical purposes. For a worker that’s pursuing education at the same time, examination leaves can also be a subject. Working for quite a long time may drain a person, thus being ineffective in his or her responsibilities at work. With respect to that, employers provide employees a time wherein they can renew their physical and mental capabilities. 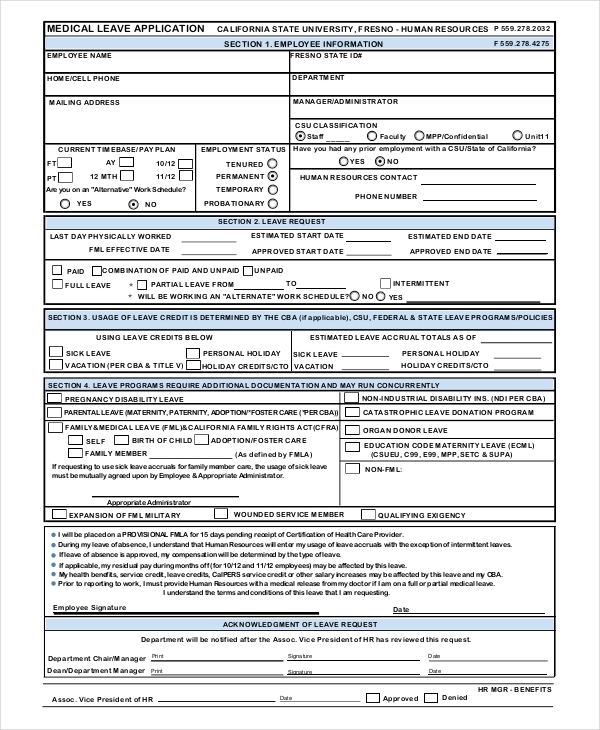 The purpose for a leave application is to make it easier for employees to request for a time off from their work to do personal matters such as having a child or for a medical treatment and etc. Leave application encourages employees to get off from work so when they return, they would fully regain their productivity. There are many ways in making an application for a leave. 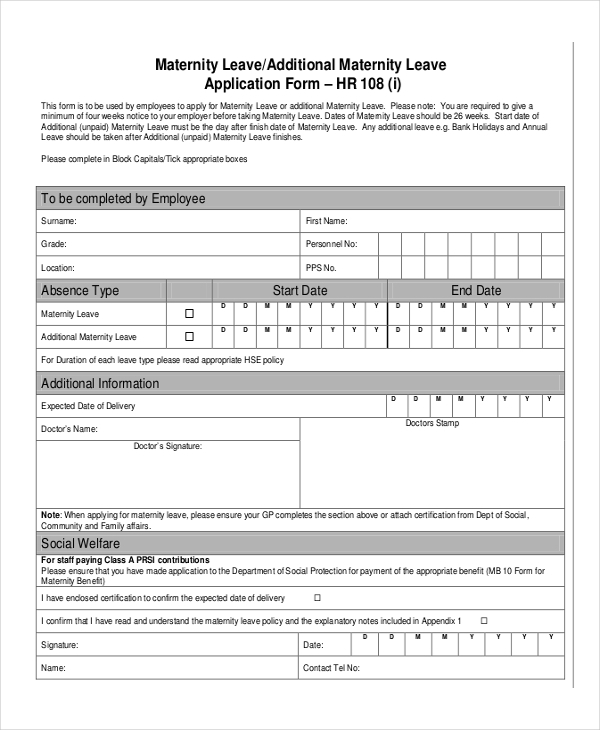 Most companies hand out a form that employees could fill out to request for a leave and some makes leave application letters. Leaves are either fully paid or not, some are mandatory and some are voluntary. 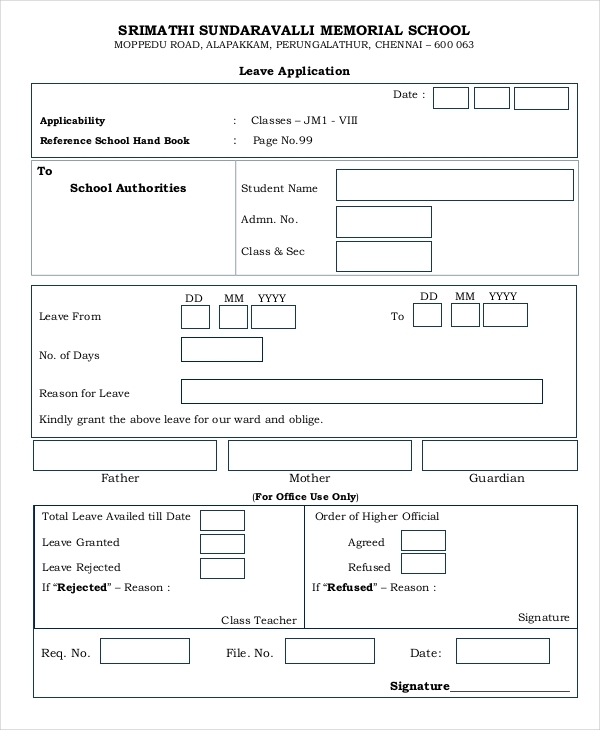 Either of the two, what is important in making a leave application is its reason or its subject. 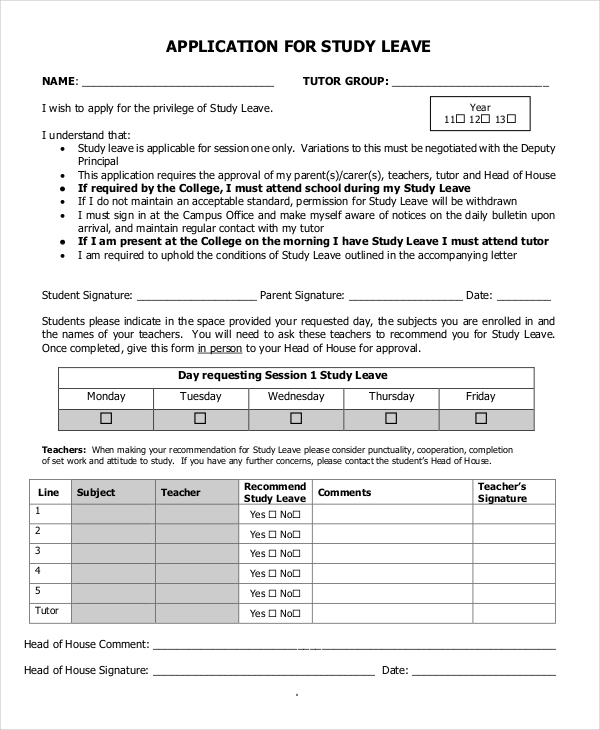 Employers approve leaves as long as there is a clear subject to why leave is applied and the date when leave applies and when it ends should also be stated.